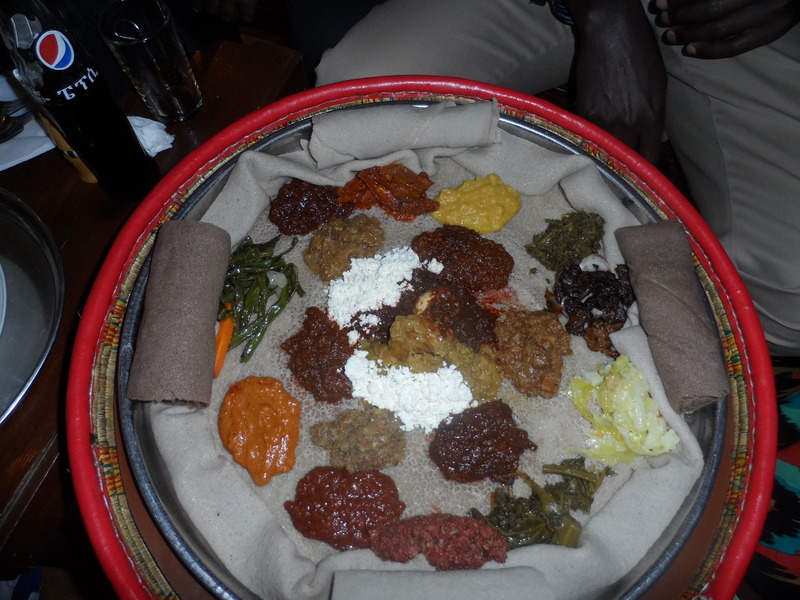 I enjoyed the food in Ethiopia. Too much. On the last night there, I couldn’t eat dinner because I was too stuffed. If you know me well, this NEVER happens! All the meals we had were really good and at a very cheap price. 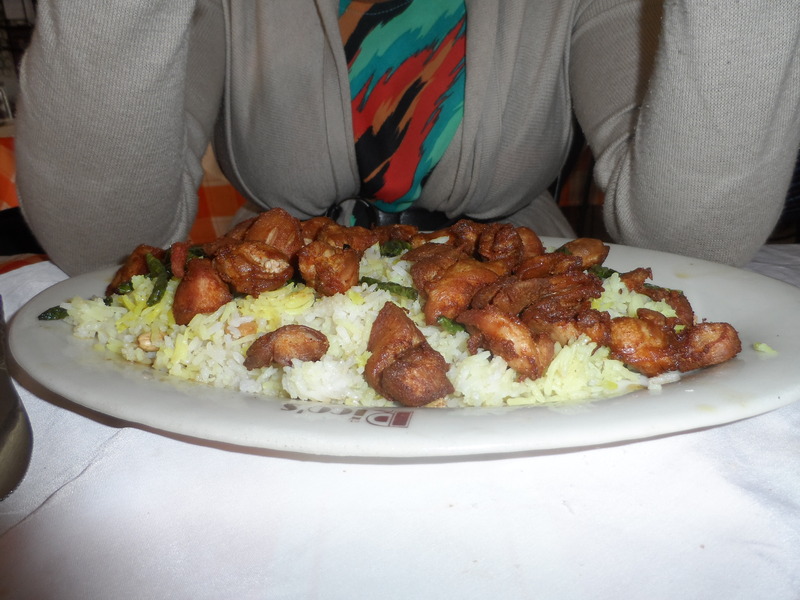 I think the most expensive meal we had was for an equivalent of Kshs. 900 per person. And that was really on the high end. Most meals cost us Kshs. 400 per person. What I also liked is that we more often than not, each selected different meals so more experiments every time we ate. My favourite Ethiopian food has always been shiro – powdered chickpeas cooked into a thick paste. 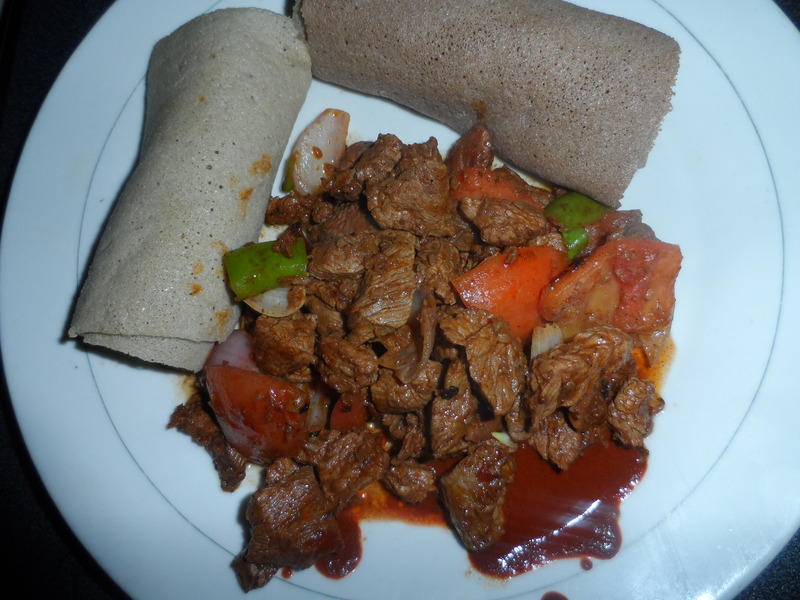 But I didn’t know what a raw deal I had been getting here in Kenya till I ate the real deal in Ethiopia. I got introduced to bozena shiro which is shiro with fried meat. NYUM!!! 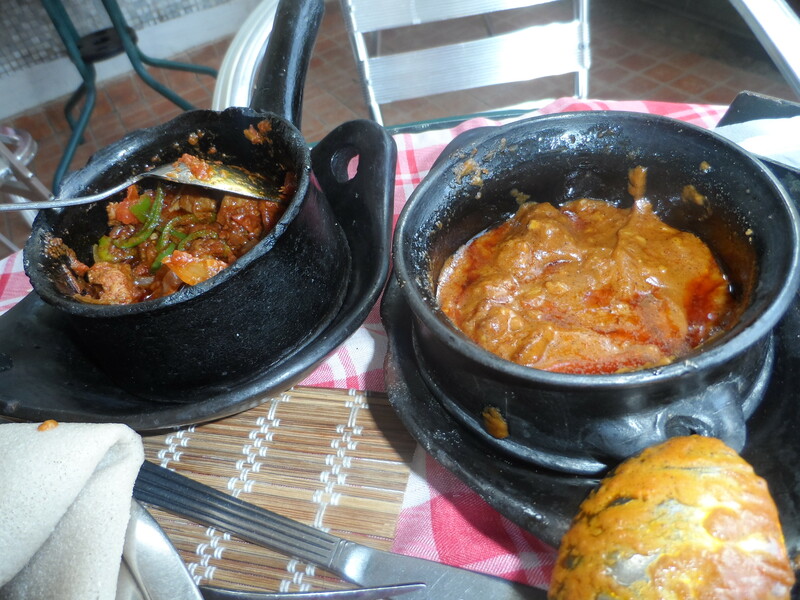 Although I ate shiro EVERY SINGLE DAY we were in Ethiopia, the shiro from Rico’s Restaurant won the trophy. By the way, don’t believe everything you read on Trip Advisor. Rico’s doesn’t have great reviews but we went there before I saw that. It is the only restaurant that we visited twice – the food was that good – and of course it helps that they give a free starter. The first day was a vegetable salad buffet and the second day was very nice vegetable soup. Anyway, on to the food pics. One person’s portion of rice with boneless chicken. Not in the picture for the same meal is a thick stew and naan. And for real, we didn’t see any ‘super healthy’ Ethiopians. I wonder how…. 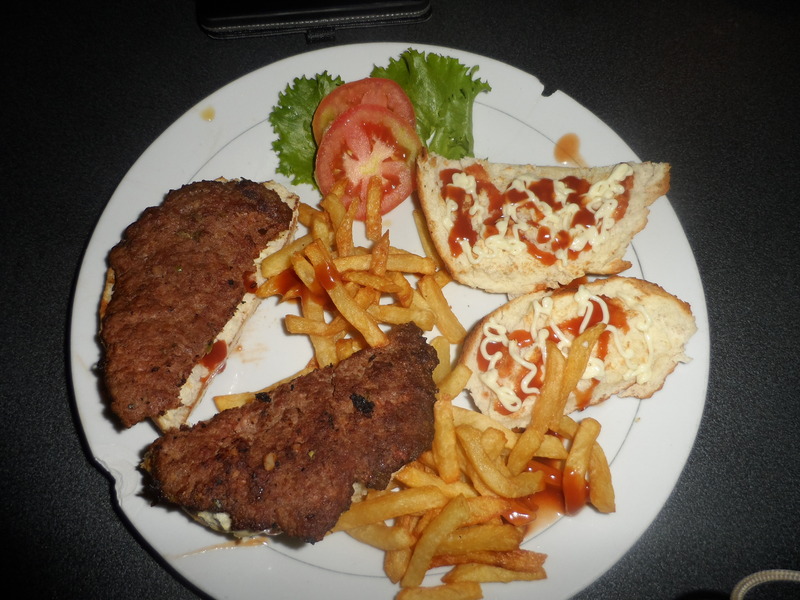 The beef patty was not so nice but the bread was amazing. Ethiopia and Italy collide. 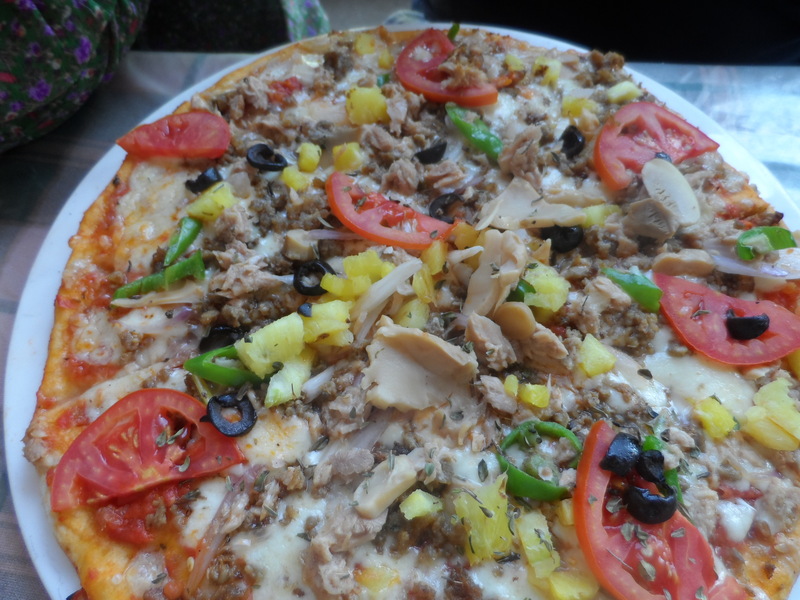 Who has ever seen a pizza with all those topping at one go? !